I am both disabled myself & also carer for my disabled wife. I bought my last car, a Suzuki Wagon R, brand new 16 years ago and it has served our needs perfectly. I have not found any car better than we already have for our needs. Its still reliable & still passes its MOT test every year but it is obviously not going to last forever. Now I have reached an age where I am thinking maybe its time to get a newer car as it will probably be my last as I dont think my old faithful will last me until its time to give up driving. I was thinking of looking for a decent used car about 2 or 3 years old as cars lose so much of their value in the first few years but I am thinking that a good used but fairly new car would probably last us as long as I would still want to drive. The trouble is, I have never seen another car which is half as good as the one we already have as far as its suitability for our needs is concerned. I wondered if anyone who is more up to date with whats available in todays modern cars could give me some advice of any vehicle that would be suitable for our needs. Maybe you think the type of car you drive may suit us and could recommend it? The thing about the old Wagon R is its like a box on wheels. Fold the rear seats down and its as large as a van but with the front seat comfort of a car. If they still made them, I would buy a new one but sadly, they no longer manufacture them. OUR NEEDS ARE AS FOLLOWS. Suitable for disabled driver & disabled passenger. Not totally wheelchair dependant but very limited mobility & movement. Low enough sill height to be able to get arthritic hips, knees etc inside. High up seating so seat height is level with us in standing position so we can easily slide into car. Hatchback with low lip to enable easy lifting of disabled aids into car. Ability to fold down rear seats as there are only 2 of us & room needed for carrying disabled aids. Room enough in back for a wheelchair, a 4 wheel walker & a boot scooter. Any advice welcome & I would think could be of benefit to many here as well as myself. THANK YOU. When Mum was alive and needed a wheelchair I had a Nissan Note. Like yours the back seats folded down totally flat and virtually made the car into a station wagon - plenty of room for Mum's wheelchair etc. I'm not very tall and found the sill height at the back was low enough to make loading the chair reasonably easy. The front seats were also high enough for good all round vision but still low enough for Mum to be able to get in and out easily. After Mum died we used my car to 'do' 3 car boot sales and with the back seats down got EVERYTHING in the back easily ! Might be worth you looking at ? Ah I have seen a Nissan Note.Thank you Susie Q. A friend of mine had one on motability until he died last year. Only ever seen it from the outside so had no idea it had the same kind of roomy interior as my old Suzuki. Well worth a look thank you. I was send for a brochure or find an online one and if OK, I will go and take a look at one in person. I wanted to get a good idea of what I wanted before I went into a showroom because the sales people tend to pounce on you as soon as you walk in the door! Last edited by Redridge on Sat Feb 24, 2018 9:51 pm, edited 1 time in total. Thank you Tim also for your idea. I had not considered a van and probably never would have. But I did a Google search for "small van" and it came up with loads of them as you would expect. 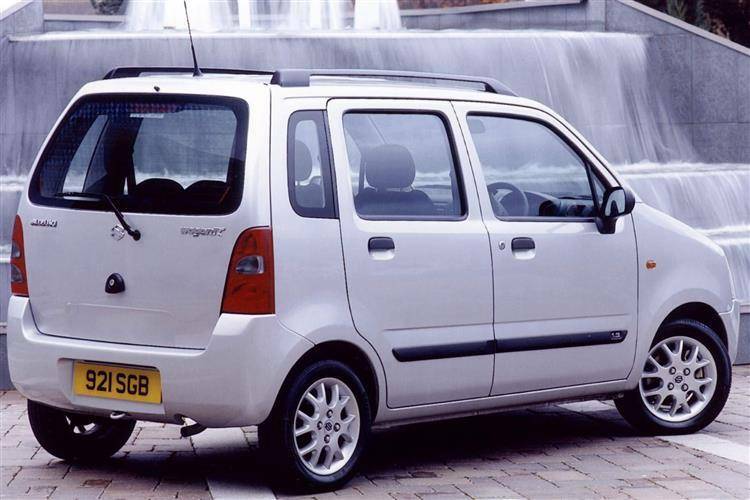 But interestingly, it also came up with a few which were also available in a car version. I quite like the look of the Citroen Berlingo. The only difference between the van and its car offshoot is they have fitted windows & seats. With the seats down, it becomes a van. In all other respects its the same vehicle. When you search the van version, there are second hand ones with 170,000 miles on the clock.... Obviously not one to buy! but if they are capable of that kind of mileage, they must be well built. Wonder if they do an automatic transmission version? another one to check out thank you. For elderly drivers and passengers with limited mobility (and need some support getting into and out of the car), does anybody have any experience with cars that have sliding doors, rather than swing-out doors? I was wondering if they offer greater manoeuvrability or have some unexpected limitations. The only advantage I've realised with traditional swing-out doors is that I can lower the window, which enables my grandparents to use the sill as a support as they get into and out of the car. I just thought I'd mention the Subaru Forester. It's all wheel drive and not very common in UK, be they drive well and last forever. My 96 legacy has 218000 miles on it. Thanks for the advice everyone. very useful. I finally opted for a Peugeot Horizon by asking a friend who has bought one for their disabled daughter but I have found there are quite a few suitable vehicles from various manufacturers. If anyone else is interested, try typing WAV (stands for wheelchair adapted vehicle) Lots of clean Ex motability ones available. Type WAV into Autotrader or Ebay. Citroen Berllingo, Renault Kangoo, Vauxhall Combo, Fiat Doblo etc. Surprisingly, finding an automatic gearbox one was the hardest part I found.